On this day in 1986 the US Navy selected the F/A-18 Hornet as the official aircraft of The Blue Angels. The Blue Angels had been flying the A-4 Skyhawk since 1974. During the 1986 season, the team continued to fly the A-4 Skyhawk while spending their time between shows practicing in both the A-4 Skyhawk and in the F-18. Certain maneuvers that took advantage of the F-18’s powere were added to the show (ie: the Diamond Dirty Loop) while others were removed (ie: the Diamond Dirty Roll). The team performed their first demonstration the the F-18 on November 8, 1986 to close out their 40th year. 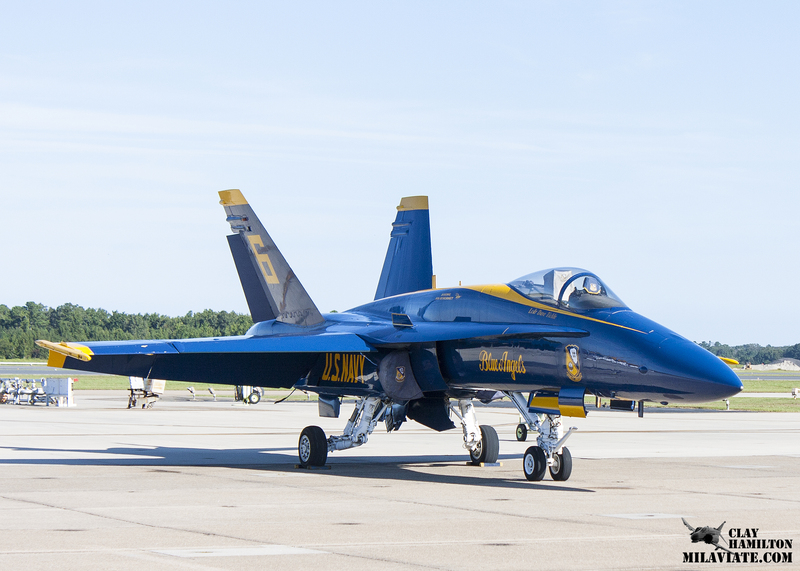 As of 2014, The Blue Angels have flown the F-18 Hornet for 28 years, which is one year short of the amount of time they spent flying their previous three aircraft (F-11 Tiger, F-4 Phantom II and A-4 Skyhawk). The F-18’s utilized by the squadron are the oldest aircraft in the fleet and are specially modified for the team; the cannon is removed and replaced with a smoke oil barrel, a smoke generating system is installed (parafin oil is pumped into the exhaust of the port-side engine), inverted fuel pumps are installed to allow longer inverted flight, and a spring is installed on the control stick to comabt inadvertant control stick movements. The Blue Angels continue to be a vital component of Naval recruiting efforts and demonstrate the precision techniques of Naval aviation to the 11,000,000 people who see them fly every year.